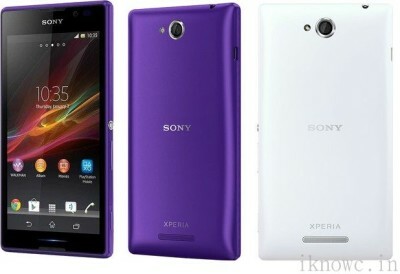 Sony Xperia C is now available for pre-order in India for price of RS. 20,490. The smartphone was announced few months back. The expected release date for the phone is 10th October. Many are expecting that the handset will be priced under RS. 15,000, but unfortunately it is priced over 20,000. The specifications of the phone are Quite generic, most of the budget Quad core handset comes with similar specs and features. The Xperia c is powered by 1.2GHz MTK6589 Quad core processor and paired with 1GB of RAM. So big brands like Sony are also now using Mediatek chip on there smartphones. The Xperia C will compete with Micromax Canvas 4 A210, Canvas HD, Gionee Elife E3, Elife e5 and Lava iris 504q. The list is not just limited to this check out full list of Quad core devices under RS. 10,000 to Rs. 20,000 in – BEST ANDROID SMARTPHONE BUYING GUIDE. The Xperia C has 5 inch qHD TFT capacitive touch screen display, 1.2 GHz quad-core processor, 1GB RAM and IMG SGX544 GPU. The handset packs with 8-megapixel rear camera with LED flash and 0.3MP front facing camera. The phone features Dual SIM, 3G, Wi-Fi, Bluetooth,GPS, DLNA and FM radio. The Xperia C also has 4GB of ROM, 32GB expandable memory and runs on Android 4.2 jelly bean operating system. The device is powered by 2330 mAh battery that offers 10 hours of talk time and 588 hours of standby time. The Sony Xperia C comes in White, Black and Purple colors. You can pre-order it from Flipkart – PURPLE, BLACK, WHITE.